BlogHome » Blog » So, graduation! Translator? And, then what? Katya’s Story! So, graduation! Translator? And, then what? Katya’s Story! Well what do I start with. Perhaps with the statement that I became a translator quite unexpectedly for myself and those around me. And here’s how. I’ve always been fond of English but I never dreamt of becoming a translator. Instead, I dreamt of becoming a doctor. During my last year in school though I suddenly changed my mind for a number of reasons, and since it was a so-called “English school” (we had more English than most of other schools here in Samara, Russia) I automatically decided to go for foreign languages. Which I did. I graduated from the foreign languages department of the Samara State Pedagogical University in 2001, but at that time I had no plans to become a translator either. In my naïve view there was no future for a translator in Samara. I worked as an administrations manager at an advertizing company for a while and then as a sales manager at an international hotel that opened here. That was a great experience. I learned a lot and in addition to new business skills I acquired something that would later become part of my specialization as a translator: a profound knowledge of the hospitality industry. I had lots of fun. However, deep inside I guess I never had this feeling of coming home, of having found something I wanted. And then I gave birth to my daughter. The first 6 months of my maternity leave my only job was being a mom, and then I thought: why should I just sit at home and do nothing? Maybe I can translate during this time. Yes I have always been an active person who has no trouble finding something to do. 🙂 Well, I began looking for translation assignments. The first ones were quite funny now that I think of it. I had practically no knowledge of the profession and had to find answers to millions of questions. But most importantly, I just loved the process! A couple of months later I had no doubts that was something I wanted to do for a living. And then it was like a snowball getting bigger and bigger as you roll it in wet snow. Going freelance, finding the ProZ site (quite accidentally, while researching some term meant for translation), attending my first powwow in Moscow (that sure took some courage! ), connecting with knowledgeable colleagues, attending a seminar in Kharkiv and many other exciting things that gradually showed to me what this profession is all about. And lots of work in the meantime, finding my specialty areas (creative translations), working on my qualifications, mastering tools and trying to improve with each translated text. 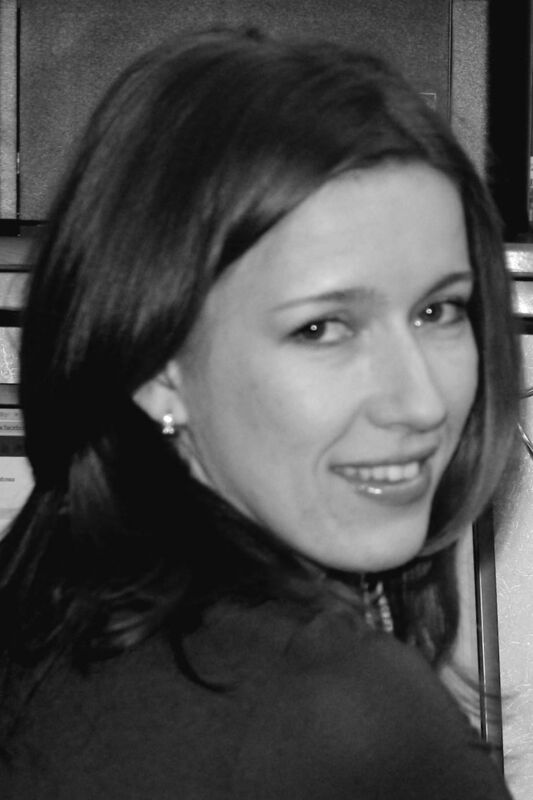 Katya Filatova is a native Russian freelance translator from English as well as German and French, specializing primarily in hospitality, marketing, sports (figure skating), music and transcreation. She also translates literary prose. Katya is a regular speaker at Russian national translation conferences (Translation Forum Russia). You are welcome, Katya! Your story is very interesting, as all the stories so far! Thank you again for writing it! Can you hear me clapping Katya? I started my career like you, from home with a baby and a 2 year-old and often had to wait till after their bedtime before starting on a job and work far into the night. But one is one’s own boss and gets to meet lots of interesting people, as you have found. Moreover working with words is never boring, whatever the subject. Hope you’ll keep going for 40 years, as I did! Good luck! Hi Marina, I was thinking what that sound was, so now I know it was you clapping! 🙂 Always great to know someone went through the same stuff, but 40 years, wow!!! That’s very inspiring. And you’re prefectly right about being one’s own boss and working with words, in fact I totally forgot what boredom is like at all. Thanks for the kind wishes and all the best to you too! So, interpreter! How did you manage that? The story of Donald Rutherford! So, graduation! A Translator? And then what? Oliver’s story!